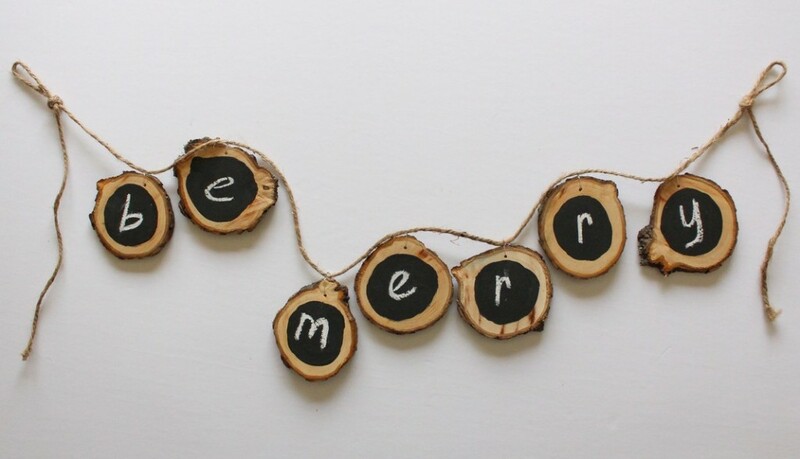 Make a garland using wood slices, which can also double as a sign by writing letters on the wood! Follow the tutorial on the source to create this idea. See a tutorial for this idea using a stencil to paint the letter on the wood. See this idea using a wood burning tool to write letters on the wood.